Hello Patron. Good to see you here. Have a great reading time with us! Choose your pick and indulge! Don't forget to share your views. Thanks for visiting. 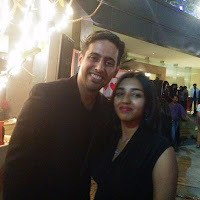 An irritated groan rippled through Shiv’s mind even as he tried his level best not to roll his eyes. ‘Something funny?’ The interviewer admittedly was sharp, Shiv conceded to himself. Ha! Take that, smug interviewer! Swapna sipped her Mocachillo slowly as she considered Priyank’s question. What did she look for indeed? Definitely not random meetings in coffee shops after the moms discussing their match through matrimony.com on telephone for starters. ‘Interesting! What else?’ Priyank slurped his Fruity-bliss noisily, scaring few mosquitos that dared venturing near their table. Dude! What’s with this interviewing? ‘Dude, seriously?’ Meeta guffawed spraying beer everywhere, earning disgusted looks. That brought about another bout of laughter from Meeta. Swapna cast an irritated glance at the intruder. Just as she was about to say a rude ‘NO’, the guy flashed her a disarming smile. 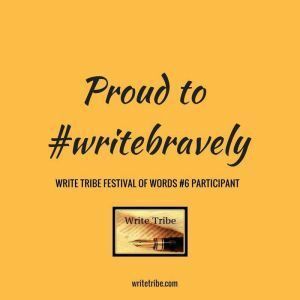 Meeta rolled her eyes and nodded, much to Swapna’s chagrin. ‘What?’ Swapna turned her head so fast that she almost sprained her neck. Shiv nodded at Swapna with a grin and took his seat. A few years back, I had gone to visit cousins in Pondicherry in Tamil Nadu. On their suggestion, I headed out to coastal town of Mammalapuram or Mahbalipuram which lies midway between Chennai and Pondy a mere 90 kms. The reason I jumped to it was the drive on the ECR (east coast road) which runs parallel to the sea mostly and the ancient temples in Mahabalipuram which date back to the Mahabharat as per legend. The road was amazing as it was smooth and free from pot holes all the way through. The sea was visible in bits and pieces and was farther than I thought it would be. One drawback of this road stretch at that time was no good food joints apart from a government run Midway which was pretty average. Two hours of riding a bike and we were there. It was quite balmy for February and I was surprised by the fierceness of the morning sun. It grew worse as the day progressed. Everywhere around I could spot lots of road side sellers, all selling beautifully carved granite stone items. I did pick up a pestle and mortar though had no idea how I would cart it back on the bike – it was damn heavy! 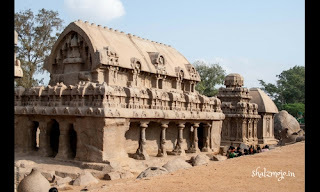 First stop was the Rathas – these are monolith temples built out of a single rock by the Pallava king Narasimhavarman-I (AD 630-660) and are called so as they resemble wooden chariots. These are called PanchPandava raths (Five Pandavas Chariots) but apparently have nothing whatsoever to do with the Mahabharata. Ok by now I was bamboozled by this fact and sought for more information on this. 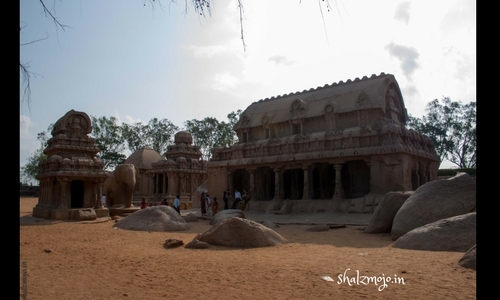 But the stone temples made me stop in my tracks as they were just amazing in their construction. It’s said that a huge rock sloping north to south was used to cut out each temples, few animals and figures that are found in this compound. I was amazed to see that the texture of the stone is still quite visible and it’s not smoothened over the years or affected by the salty sea winds. 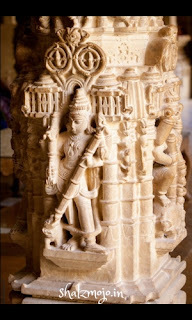 All the rathas are named after the five pandavas and their wife Draupadi but carry inscriptions from the Pallava empire and are in fact one of the finest specimen of Pallava plastic art form. 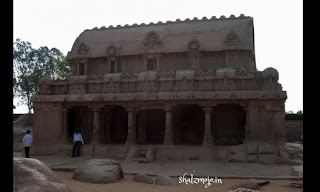 These are said to have no precedent in Indian architecture and were declared a protected site by UNESCO in 1984 and are maintained by the ASI now. 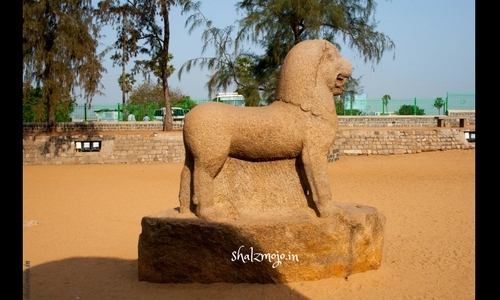 All the five rathas are in one straight line starting from Dharamraj Ratha (Yudhishtra Ratha) to Bhima Ratha to Arjuna Ratha to Nakul-Sahadeva Ratha and finally the Draupadi Ratha which was the smallest of them all. I couldn’t figure out why they were named after these characters from the Mahabhartha but did hear that these were never desecrated and stand intact since the day they were built. An amazing accomplishment given that our country was raided and plundered by outsiders numerous times. If you ever have the opportunity to visit Mahabalipuram, do stop by these incredible structures and marvel at the thought behind their conception. Oh and do note the sound of chisel and hammers all around as this town seemed to have some of the most gifted sculptors as evident from the wares being hawked from every street stand. 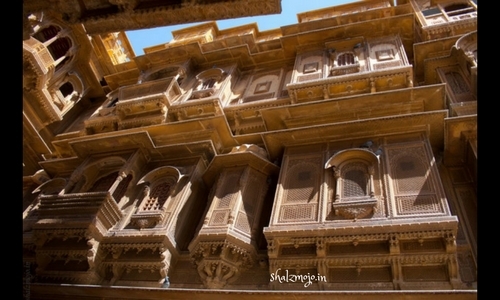 Jaisalmer’s claim to fame is not only its most noted Golden fort but also the beautiful Patwonji Ki haveli which is not one but a series of 5 houses. 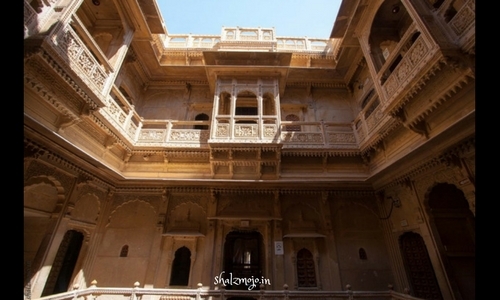 The uniqueness of this homestead lies in the fact that it’s the first of its kind to be constructed in Jaisalmer. 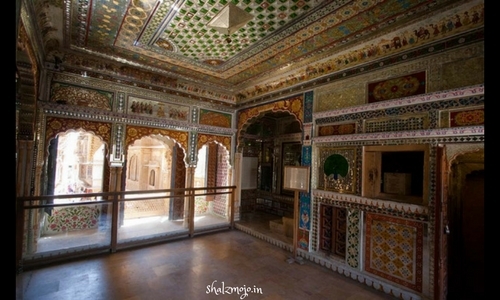 It’s said that this Haveli was commissioned by one of the most wealthy brocade merchants of the city who also had homes built for his 5 sons within the same compound. 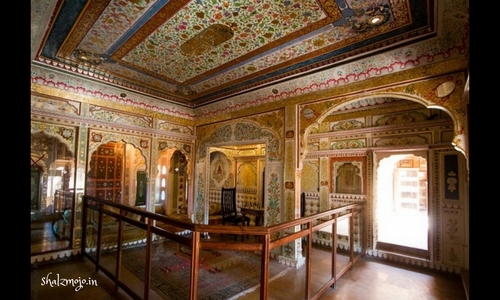 Though it’s disputed that the wealth was garnered through opium trafficking and moneylending; no one can contest the sheer architectural beauty of these buildings – inside out! 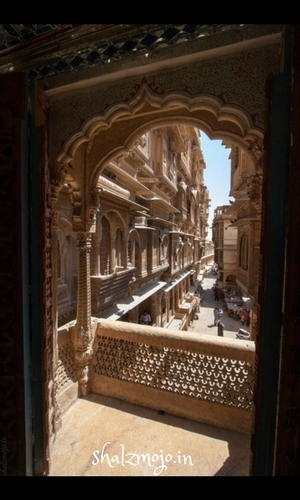 Having heard such fame and claim of these Havelis, it was but obvious that we had to make a pit stop here. Expecting a grand driveway to the cluster of Havelis, I was shocked to note its pedestrian approach. 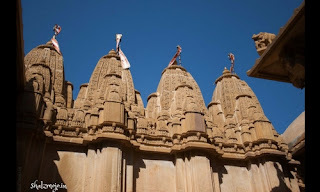 Its situated in a narrow by lane of Jaisalmer and if you didn’t notice the architecture, you could have just gone past it with it knowing how famous it is. The narrow lane is encroached upon by several pavement shops, selling handicrafts of every hue possible. Moreover one sees signs of government offices and come to realise that these jewels have been confiscated by sarkari babus as their mundane offices. How silly of the government to do that! I think ASI and a few other tourism related departments are housed here. Ignoring the hideous signages, we climbed up the steps to enter a room that blew our minds away. Its jewel tones coupled with intricate mirror work on the walls and ceilings, literally stopped us in our tracks. As we stood gaping at the vivid hues, it struck us that the sandy desert monotone had been overshadowed by these interiors. Perhaps that was the intention of its creator – to escape the mundane tones and imbibe some life via colours and patterns in the décor. 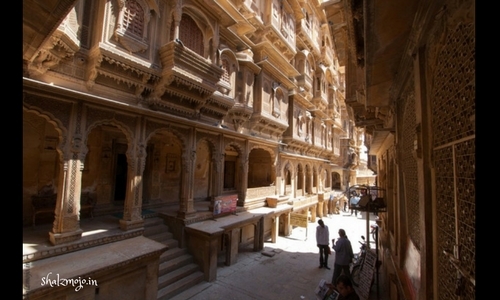 The Havelis are interconnected and are a two storey affair. You have to marvel at the 60 interconnected balconies visible in the façade which I guess is a marvel in itself. When we climbed the upper floor we saw complete interiors of the rooms restored and barricaded to showcase yet preserve them from the tourists – I breathed a sigh of relief to note this. Exquisite carvings on doors and pillars was a common sight here and it’s said that all of the archways and windows have dissimilar patterns, making each unique. I loved walking around the balcony of the open courtyard which allowed for a peek below and also in the next courtyard. Have you visited these Havellis? Have you heard about them? What did you think about them from this article? Jaisalmer is one of the most popular tourist destinations in Rajasthan for its Golden Fort of the Shonar Qila – a name given to it by the famous Bengali writer/director Satyajit Ray. 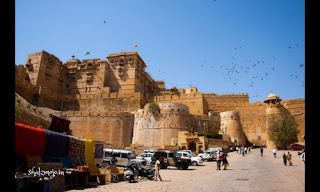 The fort is constructed of golden sandstone which turns to honey goldtones with the rays of the setting sun. 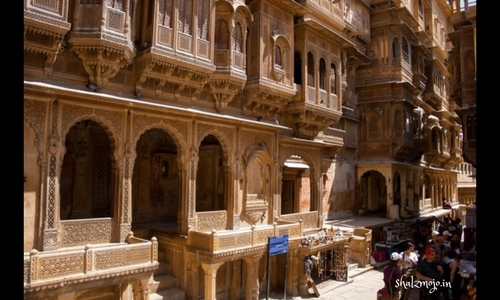 I will vouch for its sandy goldiness as I witnessed it first hand on a trip to Jaisalmer a few years back. The fort is a living one for most of its population within its walls and thrives from here. It lends quite a festive touch to the fort which are otherwise a sombre affair with their artful architecture and historic monotones. The fort also house seven Jain temples, interconnected in a maze like arrangement and are also built out of the golden sandstone. The architectural details of these temples take inspiration from the famous Dilwara (Mt.Abu) and Ranakpur (Udaipur) temples – both in Rajasthan. 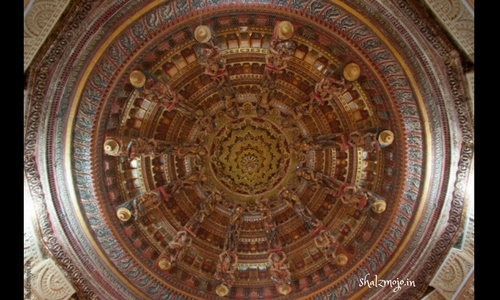 A beautifully worked ceiling with some amazing colours caught my eye and I strained to get it perfectly in my camera. 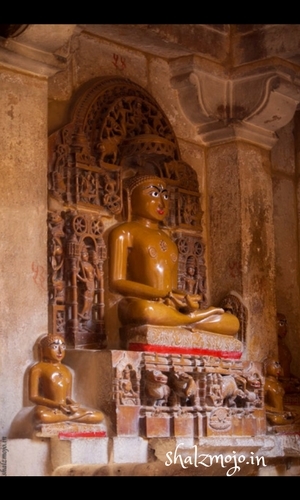 These Jain temples are said to be built in the 15th-16th century and are open all day to Jain devotees. Non-Jains need to adhere to the visiting times which are from early morning to about 12 noon. Also all shoes, leather items are to be deposited outside the temple as these are considered unclean to be carried inside the temple. All the idols are made in some stone or the other and show a seated avatar. The seven temples are dedicated to different Tirthankars – Parsavanath, Chandraprabhu, Rishabdeb, Shitalnath, Kuntinath, Shantinath and Sambhavnath. These temples are built back to back or adjacent to each other and I was quite confused as to where one began and the other ended. 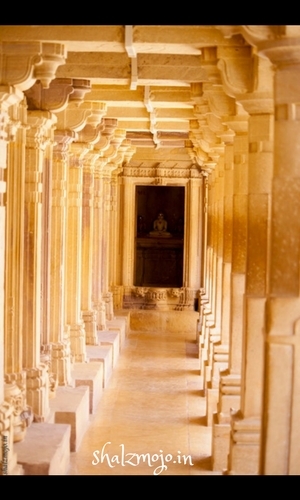 A gorgeous series of columns flank long corridors which leads to the inner sanctums in one of the temple. All I can say with certain clarity is the architectural carving were uniquely intricate and blew me away with their precision. Everywhere I looked – ceiling, domes, brackets, pillars, walls, corridors, columns- all were decorated with fine detailing in stone work representing animals, plants and deity figurines. 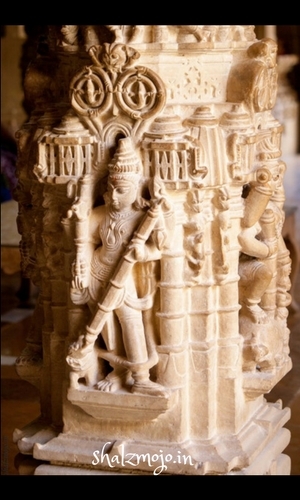 A deity is carved with amazing dexterity and entwined with other symbolic carvings, each highlighting the craftsmanship. Unbelievable peace reigned supreme in the temples, despite them being live temples and there was no noise or dirt in any form there. 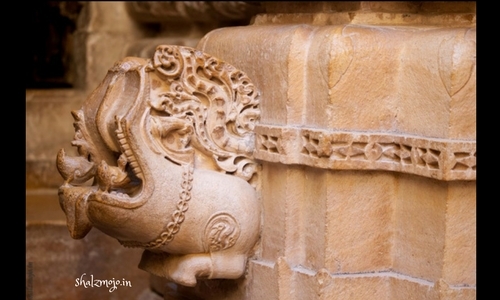 Each and every wall is adorned with beatific carvings that echo the love of art and architecture of the patrons who indulged in buildings such gorgeous sanctums of religions. I loved this demon like head which projected out from the base of a wall and seems to be a water spout of some kind or maybe hold oil. Hello friends!!! 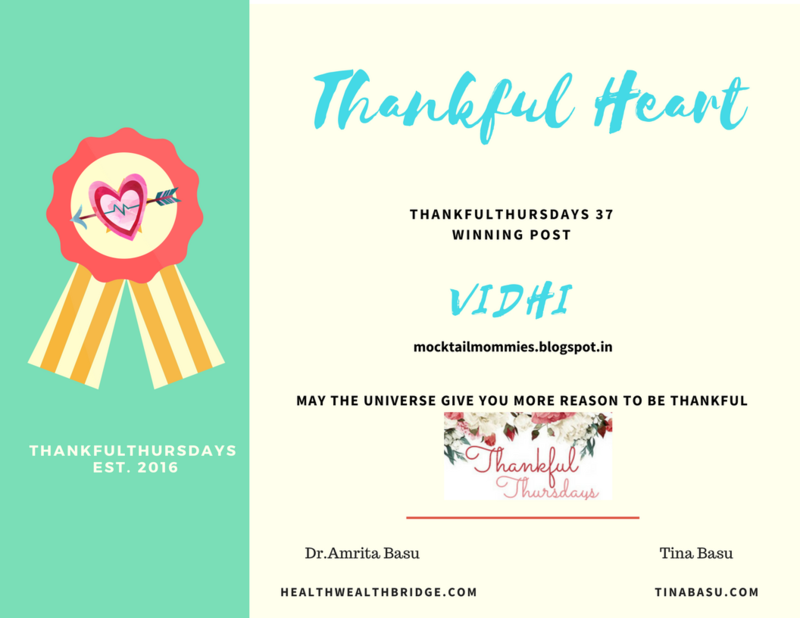 Yet another exciting day dawns on this blog hop and to add to all the excitement, today I have the privilege of hosting one of the most popular lifestyle bloggers, Manisha!!! Read on to know her thoughts on the 5 must haves in your purse. 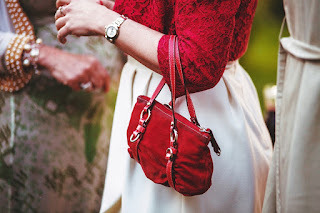 A girl can never have enough of bags, can we? We carry a world along with us in our bags. We have different bag for every occasion and they serve a different purpose. Some of us prefer a compact bag like a satchel bag while some could prefer to carry a lot of stuff, so they might go in for a hobo bag. For small outings we carry a clutch or a sling bag while for travelling we carry a bag pack depends on the situation. Whatever bag we may carry we have somethings which are absolute must haves or essentials while some depending on the situation/occasion. 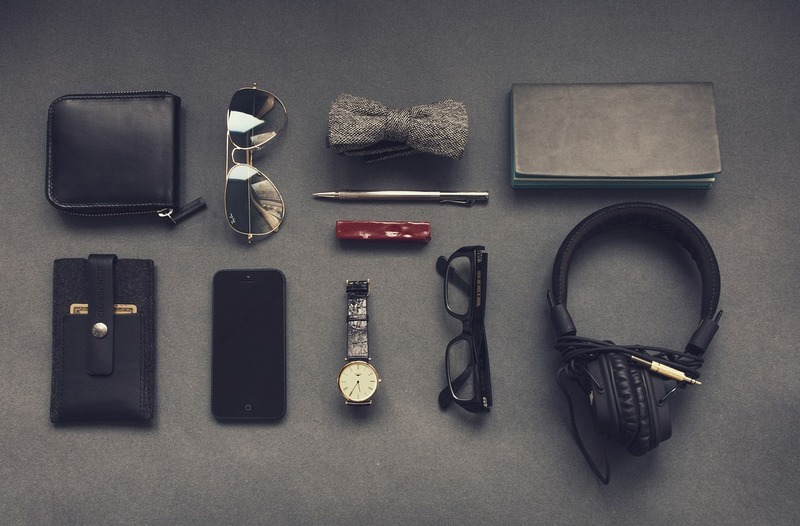 Today I discuss with you 5 absolute must haves which a woman should carry with them. The first and the foremost is some napkins/handkerchief/wet wipes. We travel we sweat or dust accumulates so we need to wipe it off as you can’t have a dull face. If something spills off on the dress or may be sudden sneeze you may need something to wipe it off. Anything wrong with makeup you need something to correct it. Napkins/handkerchief/wet wipes become a must have. If you carrying a handkerchief preferably carry a cotton one as it soaks and is soft on skin. Similarly, if you carrying a napkin use a soft one. Wet wipes are generally soft, and you have plenty of options to explore these days. Next comes a lipstick or a lip balm. You may just be going to work or for a travel whatever be the case you don’t want dry lips. Or if any sudden unplanned occasion comes up– then lipstick always does the trick. The third would be some safety pins. You just never know when you need them! Last thing which you want is a wardrobe malfunction! Fourth would be sanitary pad. I know you might know your date but it’s always safe to carry one. You might need it for yourself or you could help someone. Remember- A friend in need is a friend indeed! Last but not the least is MMK. Wondering what it is? Well here it goes – (M)-Money, (M)Mobile and (K) Keys. Always carry cash even if you have cards and Mobile with all the apps. Carry you mobile which is charged. For emergency remember or have the numbers noted on small notepad. Your keys you need to get back home, right? 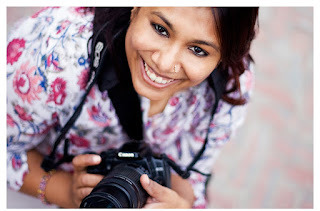 About The Author : Manisha started blogging as her space to share her thoughts and experiences. It has been her endeavour to write across different topics. Starting from writing on relationships she has touched topics on health, beauty, lifestyle, food and her travels. 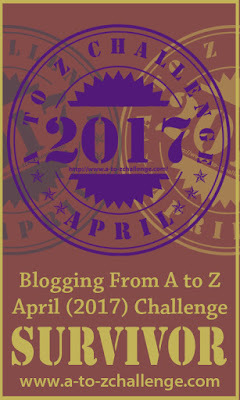 Her highlight for this year has been the 15-interview series during A-Z Challenge of Women across different sectors this April. 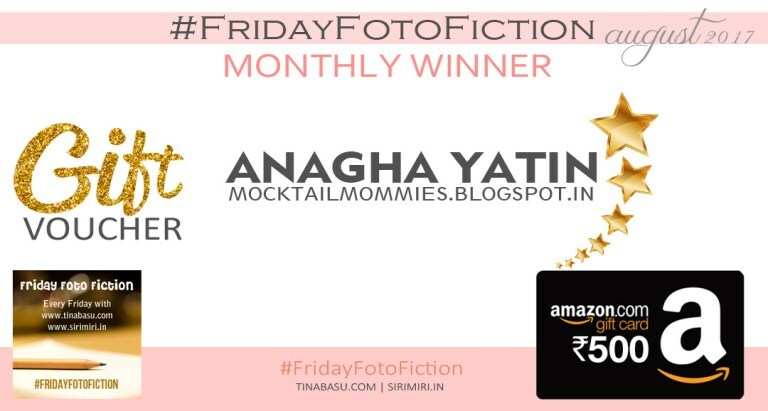 Last year she was the 2nd runners up for the MyFriendAlexa campaign with Blogchatter. 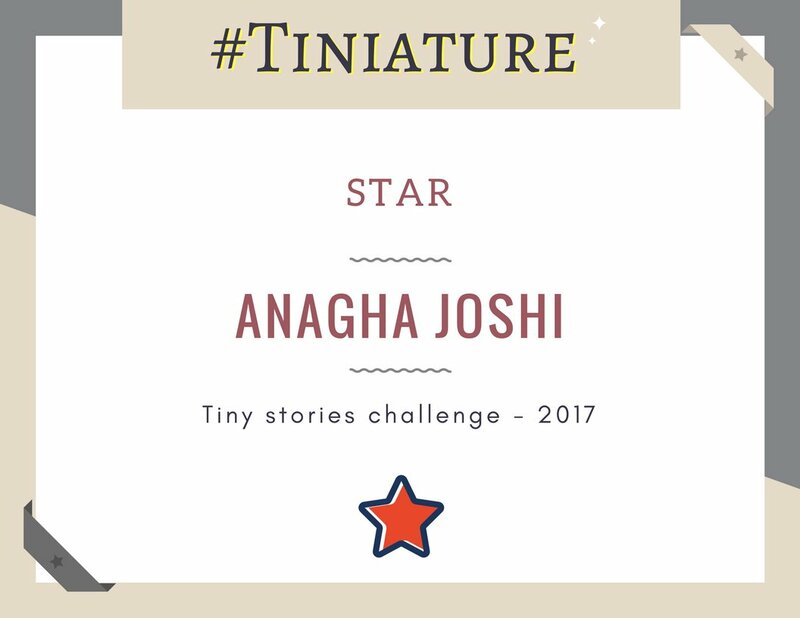 Recently she has won BlogRock 2017 – Lifestyle Blog award. 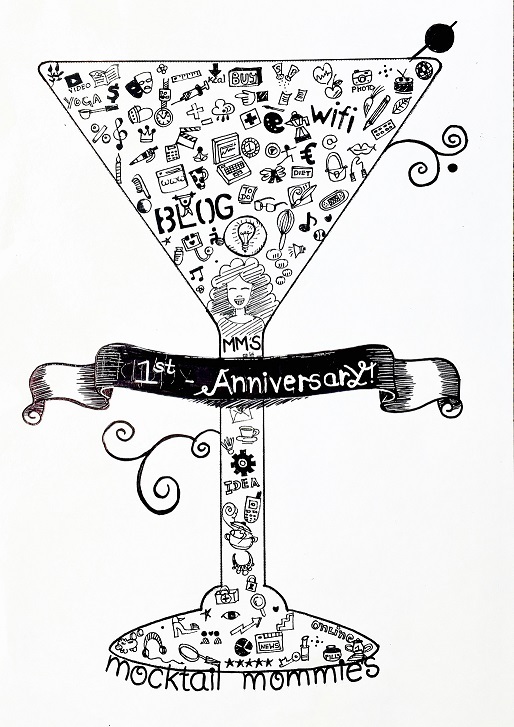 Looking forward too many more milestones which wait for her.